authorSTREAM has introduced the new authorSTREAM Desktop product that installs as an add-in to PowerPoint 2007 for Windows. The product is entirely free, and when successfully installed, it shows up as a new tab in the Ribbon of PowerPoint 2007 as shown in Figure 1, below. Search images from Bing image search, and insert them into your slides. 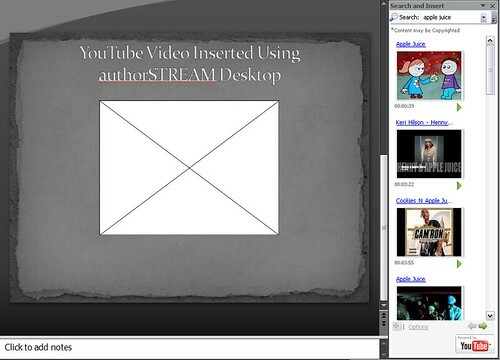 Search videos from YouTube, and insert them into your slides. 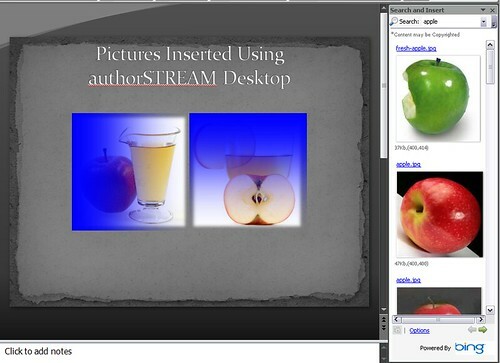 Publish any created presentations to the authorSTREAM site. Video searches work in the same way, as shown in Figure 3 below. Inserting YouTube videos does not actually insert the video clip inside PowerPoint — it places a reference to the clip on the YouTube site, and you need to be online to view the clip. YouTube video clips only show in slide show mode within PowerPoint — in editing mode, as shown in Figure 3 above, they show up as a box placeholder. 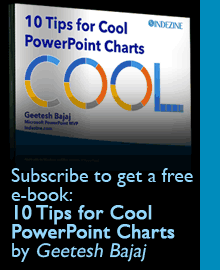 You upload PowerPoint presentations to your authorSTREAM account using the prominent Upload PowerPoint button in the Ribbon tab (refer to Figure 1). The whole experience of using this add-in is easy and intuitive. However, do remember that most images and videos on Bing and YouTube and copyright protected — and you ought to use caution before inserting anything that you find while searching!